Progress notes are the warehouses of medical facts and clinical thinking. A progress note is a succinct means of communicating about an individual’s present state. For this reason, the more proficient you are at writing progress notes, the more efficient you will become at communicating current findings. This course, tailored for all healthcare staff who access personal health records, discusses what an intelligent progress note consists of, the most common methods of writing them, and some useful tips for constructing them. Interactive exercises and illustrative vignettes will give you the chance to apply your new found writing skills. In addition, clinical practices, billing, and reimbursement guidelines vary widely for different agencies; as such, you must become familiar with your own policies and procedures as you apply these skills in your own agency. After completing this course, you will be able to write thorough, efficient progress notes for various clinical settings. Articulate common guidelines for progress note writing. Formulate progress notes that clearly document encounters, demonstrate medical necessity, and can be upheld by state/county audits. 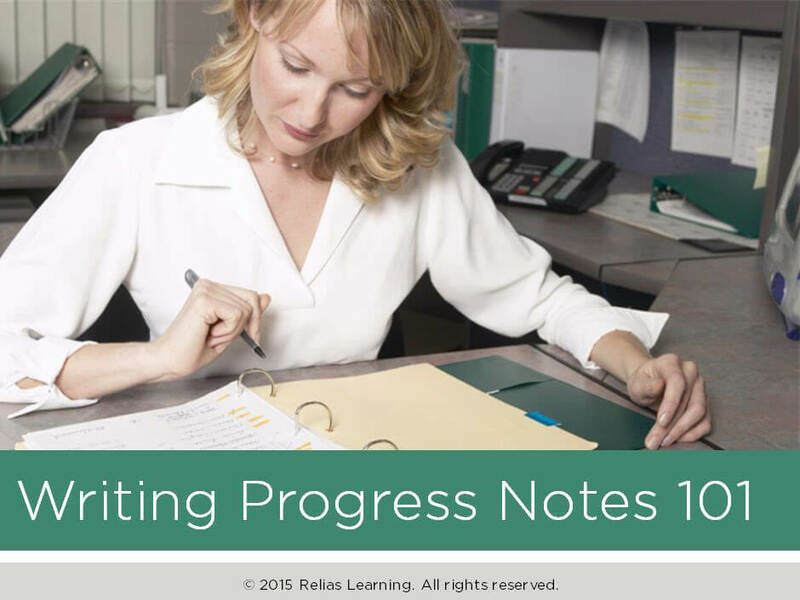 Utilize the most common formats for developing progress notes in fifteen minutes or less.